What are emotions? And feelings? And why are we so triggered by relationships? How do we use our emotions and relationships to understand ourselves more, and grow spiritually? What does it mean to just be who we are, our authentic self? To say “I am”? These are the questions Telana poses to Mike George, the author of several books, who also plays the role of spiritual teacher, coach, management tutor, mentor and facilitator. Mike brings together the three key aspects necessary to ‘be well’ in the world today – self awareness, emotional / spiritual intelligence and continuous ‘unlearning’. 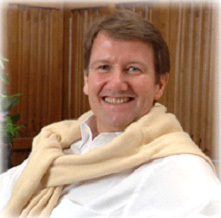 He is based in the Wiltshire in England and plays many roles, including coach, mentor, facilitator, management tutor, author, spiritual teacher and retreat leader.